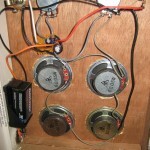 This video is a 3/4 watt, 4″ speaker model with a 100 ohm volume pot. 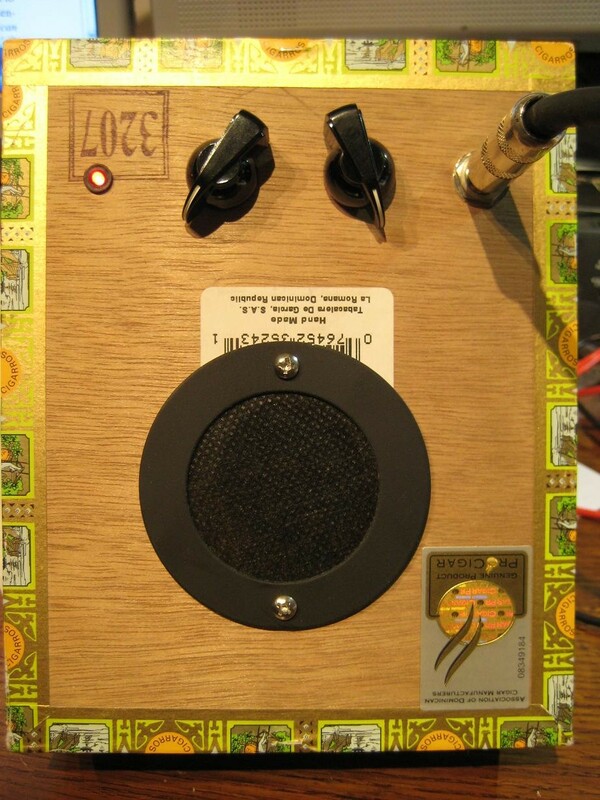 My new amps feature a linear volume pot and dual power capability! I used to use a 1k pot for the volume, but it did not have a linear function. The volume went from low to high in about 1/16 of a turn. Now the amp works much better. 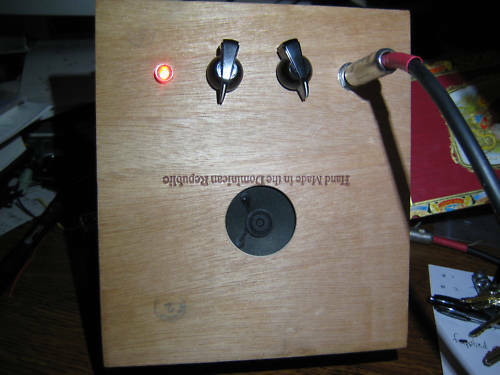 The original schematic calls for a 25 ohm pot, but I believe that the 100 ohms pot works perfectly. 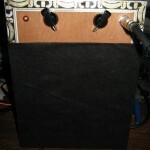 This amp is was for sale on Etsy.com. Sold 8-8-2010 for $31.95! 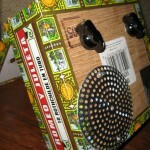 A Romeo y Julieta cigar box amp built 7-29-2010. This amp is being sold on Etsy. 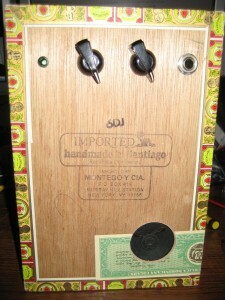 This is a Cuesta-Rey cigar box amp. It features a 10mm LED. 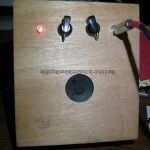 This amp was sold on Etsy.com (8-15-2010). I installed a diode on the external power jack to protect against reverse voltage, and I even sent the new owner a drain cover and two screws in case the speaker grille is desired. 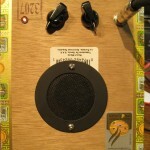 This amp is made in a Corona by La Flor. It’s .375W and features a red LED. 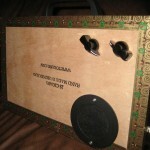 I made this one out of my favorite cigar box that I used to keep my GPS batteries and parts in. 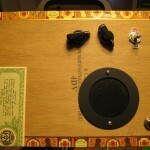 This amp is being sold on etsy.com. These are the CBGAs that have been built by me. Each one is unique, and I try my best to make each one special. 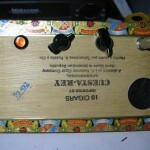 As with most of my cigar box amps, I try not to deface the cigar boxes. I like to leave them as natural as possible. Sometimes I do break this philosphy, but I try my best to stick to it. Most of these are sold on eBay, and the owners have full creative rights to customize them as they please. 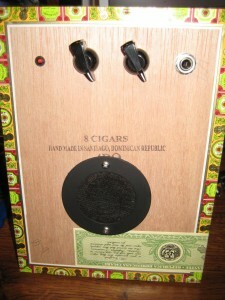 Are full plans available for this new amp with 100k ohm pot? If so where can I get the plans. You could probably use a 100k pot but it isn’t going to work very well.